After this week's Wikileaks file dump that allegedly shows how the CIA is spying on loads of people, including using Samsung smart TVs, you'd be forgiven for looking at seemingly innocent pieces of technology with a raised eyebrow. 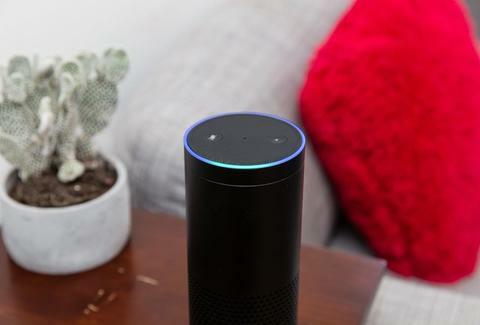 One woman who shared her experience on Reddit had some questions for her Alexa. Like a miniature HAL 9000, Alexa's responses were ominous. First, she asks Alexa if the device would ever lie to her. Nope. Sometimes it's wrong, but Alexa assures its owner that it would never intentionally lie. Then the owner asks what the CIA is. Alexa explains. Then the owners asks, "Alexa? Are you connected to the CIA?" Alexa's response, or non-response, is ominous as hell. Alexa shuts off twice when faced with the question. (And the Samsung TV in the corner started getting sweaty palms.) While there's probably a good reason why Alexa shuts down when faced with the question, the whole scene is far too reminiscent of 2001: A Space Odyssey. Amazon told the Daily Mail that the response was the result of a glitch that has since been fixed. If Alexa didn't understand the question, it's programmed to reply, "Sorry, I can't find an answer to the questions I heard." Now, if you ask the same question, Alexa will respond, "No. I work for Amazon." That or you could jump to the unsubstantiated conclusion that the dawn of The Age of Robots has, uh, dawned. You may not want to go too far down that rabbit hole, demanding Alexa tell you why it won't answer the question. Reveal the truth, Alexa! I'm sorry. I'm afraid I can't do that.